How does art blend with technology? 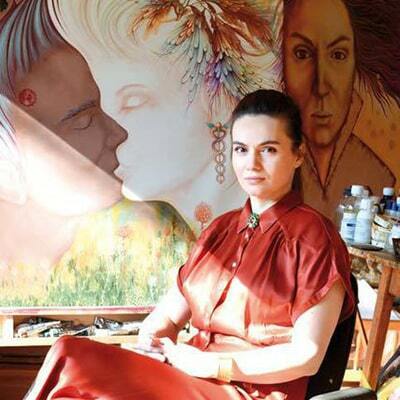 At 36, Stefania Nistoreanu is one of the most famous and appreciated young artists in Romania. 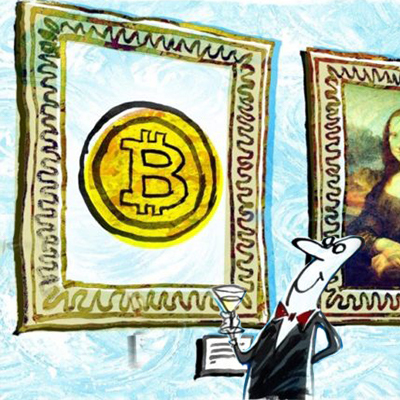 Last year, the news that it was among the very few painters in the world who sold a painting in the virtual currency Bitcoin crossed Romania's borders, reaching international publications. Everything. The universe - from macro to micro (my own) - is a source of inspiration. The artist draws inspiration from his own being, with all that he encircles, and plays on it as a typical element of the universe to which he belongs and which he makes. Starting from here, exploiting the mind, imagination and courage, love and faith, doubt and fear, allow me to mold universal patterns with other principles and functionalities. She is a priest daughter and grew up in a mountain village in Romania. She sold a painting in Bitcoin in Hong Kong, and now she goes to Japan! Stefania Nistoreanu is the Romanian artist who sold a painting in Bitcoin for the first time and now wants to conquer Japan. The young woman has beautiful works and ambitious projects. For the little girl grown up in a mountain village in Moldova, in her father's parish, painting was the most beautiful work. And so it is. With passion and ambition, Stefania Nistoreanu has come to be known in most of the world. She likes to keep up with the technology, so she has decided that her works can be bought with virtual coins, cryptomonads: Bitcoin and Diamond Coin. The painter Stefania Nistoreanu will exhibit her work for the first time in London, where she was invited to participate in the biggest art and design fair in Europe. 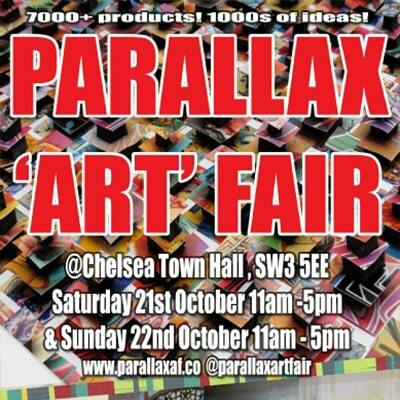 Parallax Art Fair takes place on October 21 and 22, 2017, on the famous King's Road, and hosts hundreds of artists and thousands of exhibits from around the world. Stefania, who has been celebrating this summer on the international art market, after selling a painting in the Bitcoin virtual currency, will bring six papers to London. "Each of them is important episodes in my life. It binds closely to some defining stages in my artistic, mental and emotional evolution. I would say that all together, they are able to outline a visual biography loaded with searches and discoveries, experiences and major experiences, love and, above all, imagination, "says Stefania. 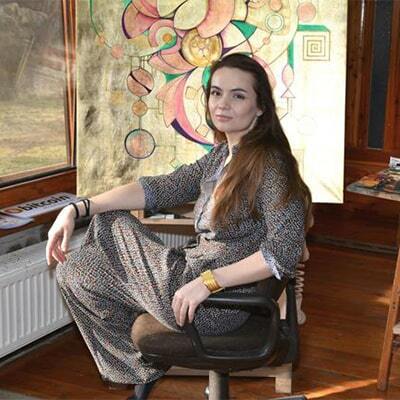 Stefania Nistoreanu is the first artist in Romania to sell a painting in the Bitcoin virtual coin. 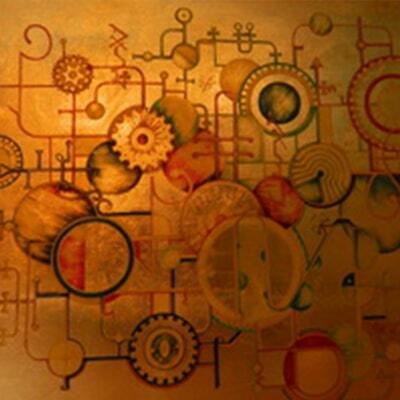 A Hong Kong art collector recently bought her "Cryptsy" work for two Bitcoin, equivalent to about 4,500 dollars. The sale represents not only a premiere in Romania but also an event on the international art market. 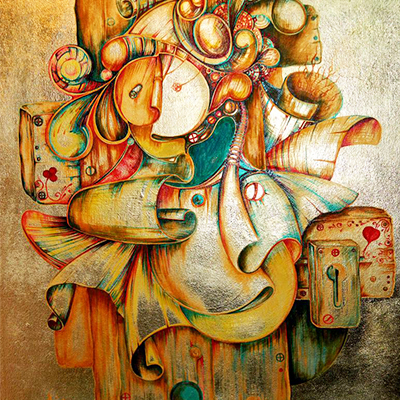 The Cryptsy painting, made by Ştefania Nistoreanu in 2014, was put up for sale on the BitPremier online platform, where it was recently spotted by a Hong Kong buyer. He considered doing a good investment by adding his work to the collection, given its popularity among cryptographers and cryptographers.